One of the many cool perks of being at the Munchkin Tavern is hearing new game announcements before anyone else. But if you didn't have a chance to hear the good news last night, here you go: Munchkin Wonderland is coming out later this year, exclusively from Amazon! 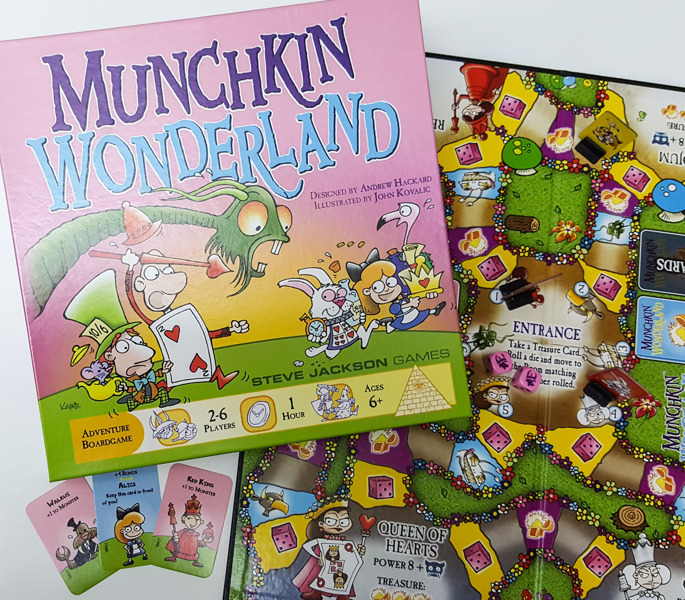 Munchkin Wonderland is based on the previously released Munchkin Treasure Hunt, with simple rules perfect for the entire family. It features positively popping art from John Kovalic depicting the oddball cast of characters that Alice encounters in Lewis Carroll's Wonderland novels. Fantasy icons like the Hatter, Dormouse, and White Rabbit make an appearance in this bright and colorful game of beating up baddies and collecting treasure. Things will get curiouser and curiouser later this year when Munchkin Wonderland releases on Amazon!